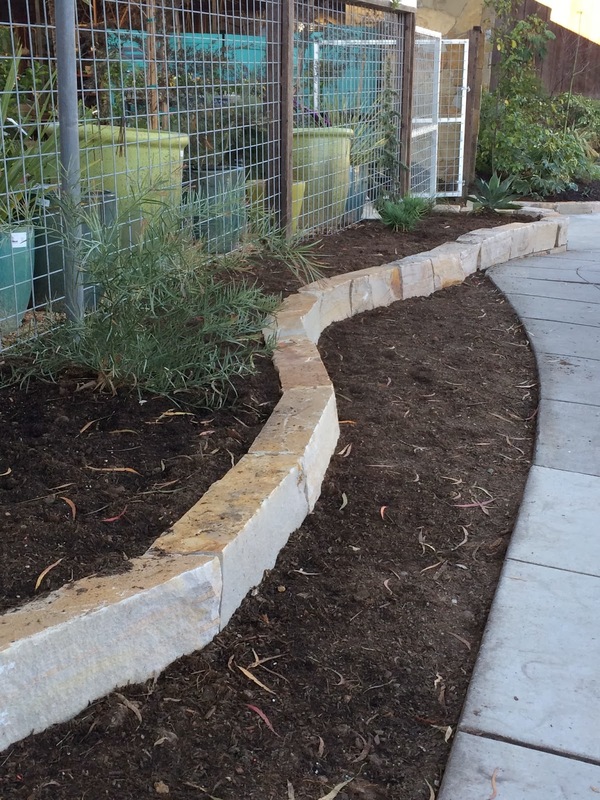 This Utah ledge stone was used to create low retaining walls along the front entry of Flowerland. 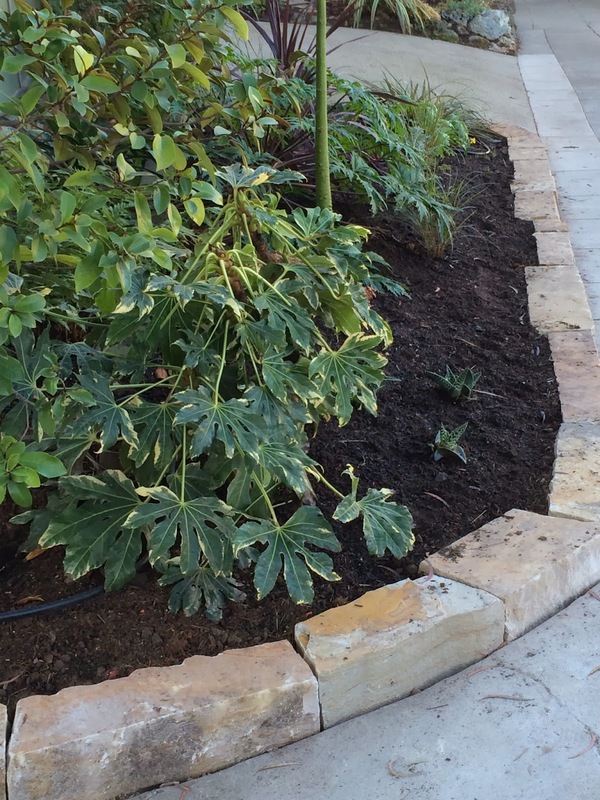 This creates a level planting area along the sidewalk and prevents soil from continually slipping. 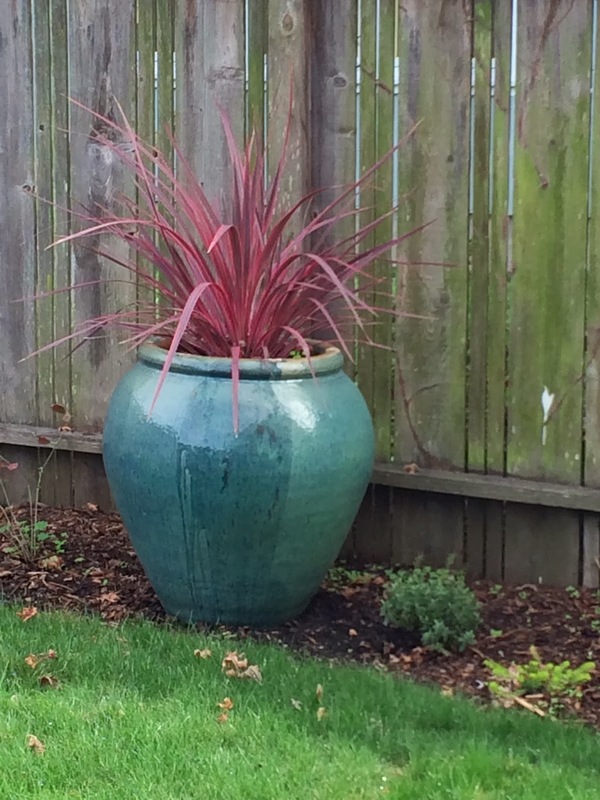 The golden color of the stone works well with the blue succulents Agave and Senicio. 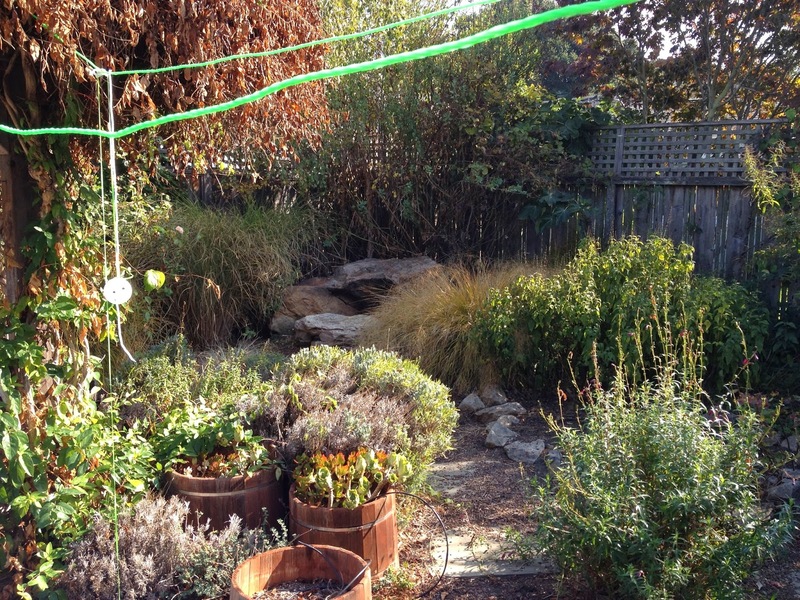 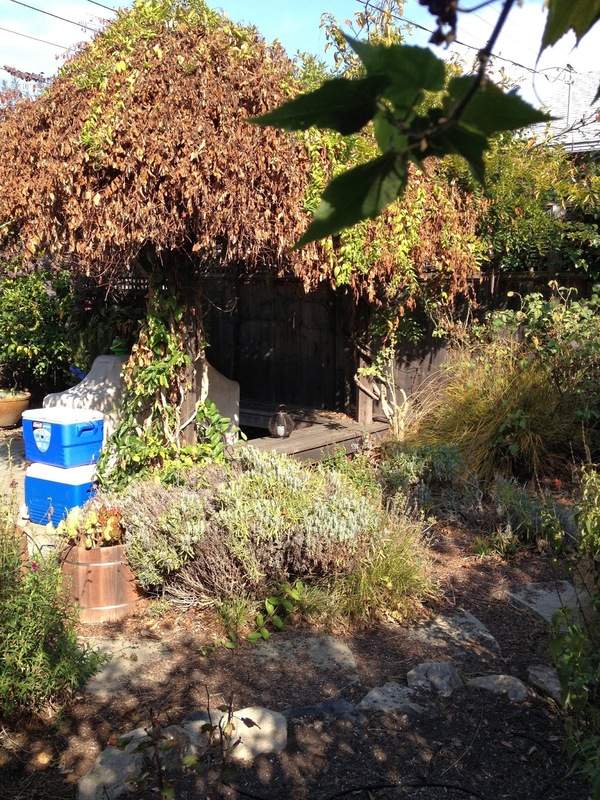 This Oakland back garden was renovated to create more open space for the homeowners' children. 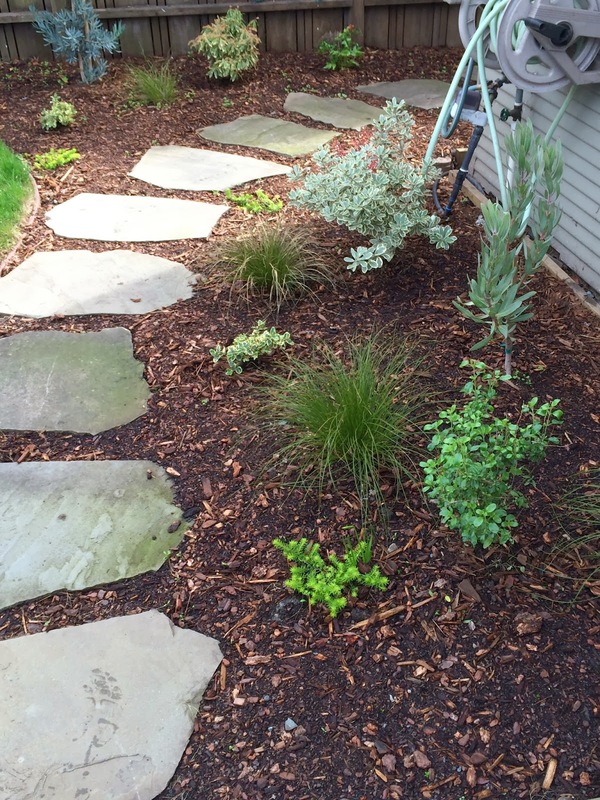 A low water and low maintenance Now Mow sod was installed to create a play space. 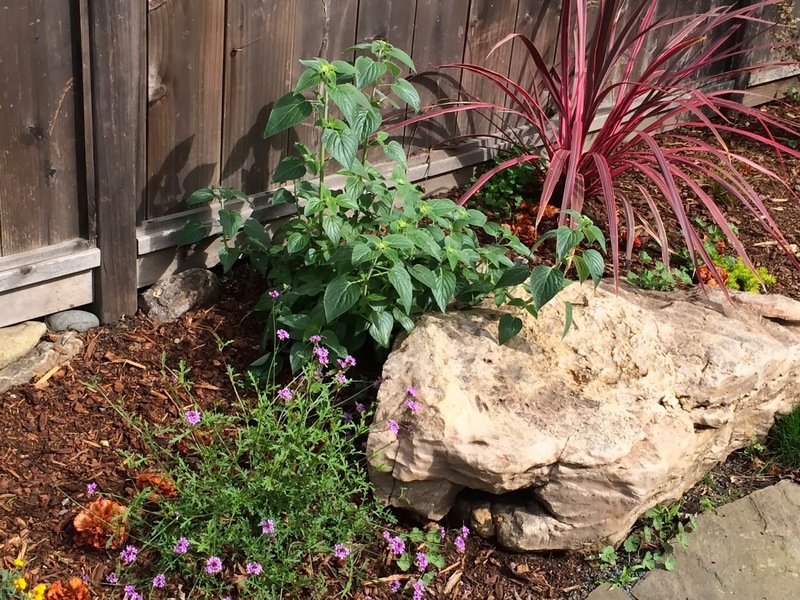 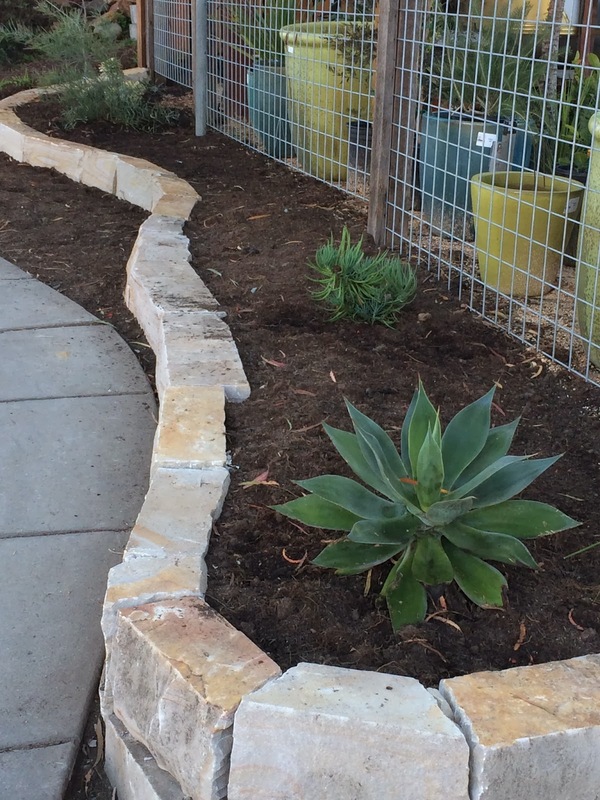 Drought tolerant and native plants that add color and visual interest around the perimeter of the space. 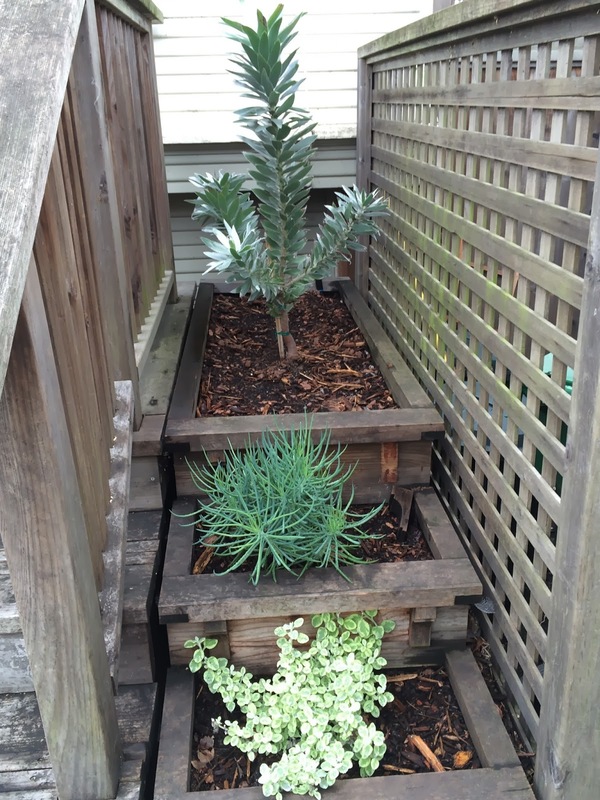 Below are the 'before images'. 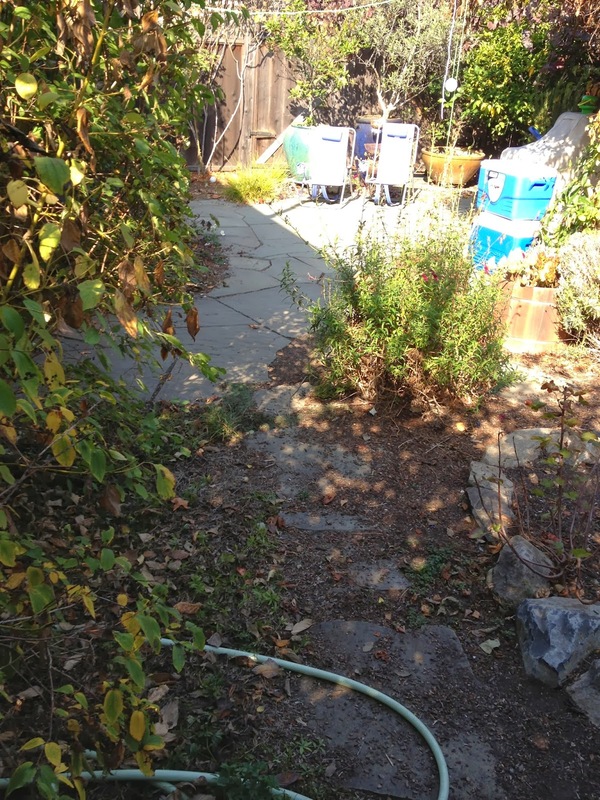 The garden was overgrown and not ideal for a family with small children. 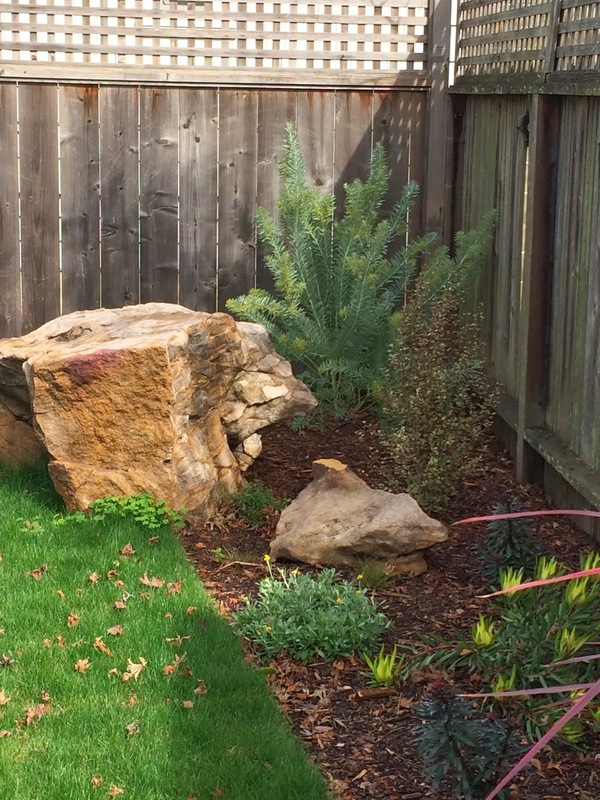 The stones were repurposed to become a 'jumping off' point for the lawn and the smaller stone was moved along side the patio for natural seating.